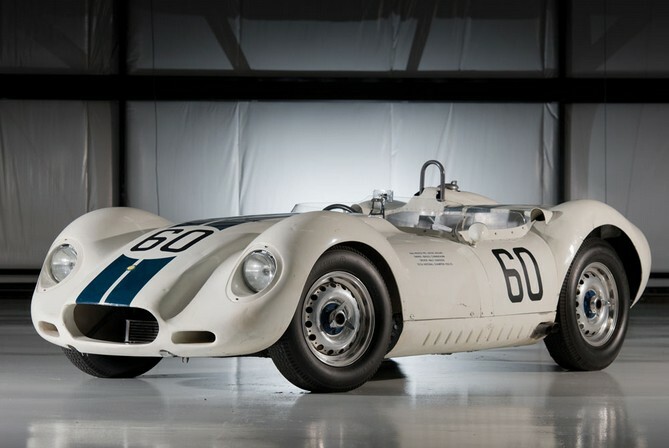 These cars are often referred to as “Knobbly”s because of their curvy shape. In all honesty, I didn’t know that was the reason (really, how many people do?) but every time I saw one of these I assumed that was the case. They are kind of knobby-looking cars. And I’m not sure if that’s a compliment or not. Lister built Bristol-powered racers between 1954 and 1957. In 1957, they reworked the car to house a Jaguar straight-six (from the all-conquering D-Type). This car has the 265 horsepower 3.8-liter straight-six from Jaguar. The “Knobbly” debuted in 1958 and this was the first one built. It was originally conceived as a one-off racer but it’s popularity led them to realize they could make money selling these and 11 were built in total. Briggs Cunningham owned the car into the mid-1960s before selling it. It has had a few owners since and was most recently sold at RM’s Monterey event in 2013. The pre-sale estimate is not available right now, but it sold about 6 months ago for $1,980,000. You can check out more here and see more from RM’s Monaco sale here. This entry was posted in Uncategorized and tagged 1958, cars, classic cars, jaguar, knobbly, lister, prototype, race cars, rm auctions by classiccarweekly. Bookmark the permalink.